See which posts are most popular with your audience at a glance with MonsterInsights. What kind of content does your audience really want? Which of your posts are drawing in the most traffic to your site? 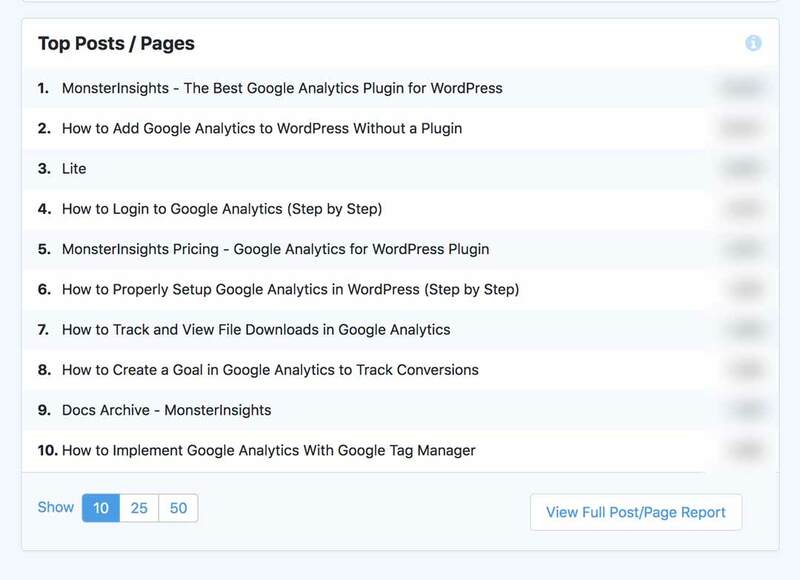 MonsterInsights shows you the most popular posts, pages and sections of your website, so you can get a clear view of what’s working and what’s not. A content strategy without data is doomed to fail. With insights into your most popular content, you can start making data-driven decisions and create a strategy that really works. Stop creating content that falls flat. Now you can drive more traffic to your site by giving your audience what they want.